Blood Swords. Blood Swords. 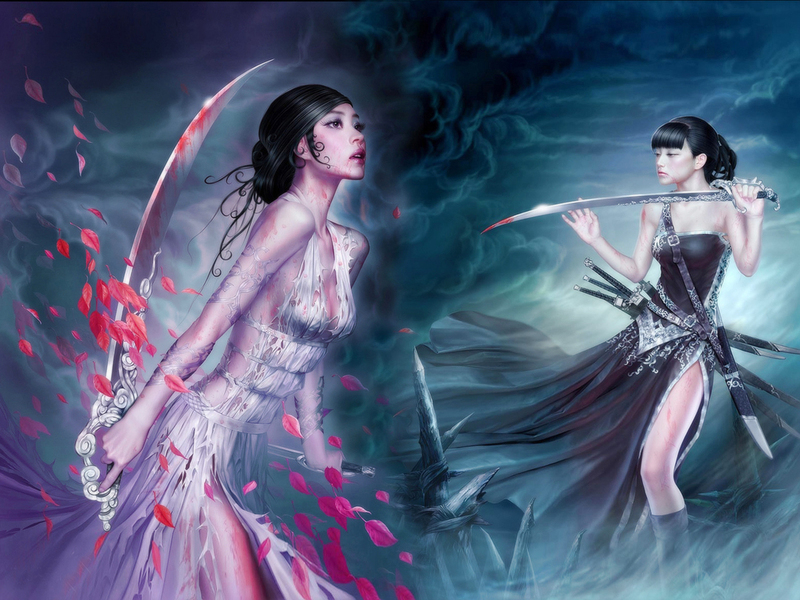 HD Wallpaper and background images in the Fantasy club tagged: fantasy fantasy creatures wallpaper my fantasy angels art fantasys girl warrior swords magic. This Fantasy wallpaper might contain dinner dress, dinner gown, formal, evening gown, cocktail dress, sheath, dress, and frock.